MacGyver, Hawaii Five-0: Could There Be a CBS Crossover? Could there be a MacGyver/Hawaii Five-0 crossover in the future? Executive producer Peter Lenkov recently spoke with TVInsider about the possibility of a CBS series crossover. Lenkov executive produces both reboot series. 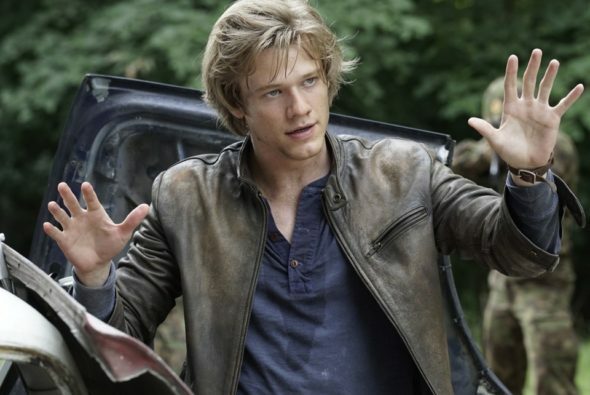 The latest, MacGyver, just premiered in September and stars Lucas Till as a young Angus MacGyver, the special agent popularized by Richard Dean Anderson in the classic ’80s action drama. What do you think? Are you a fan of either MacGyver or Hawaii Five-0? Do you want a crossover episode? More about: CBS TV shows: canceled or renewed?, Hawaii Five-0 (2010), Hawaii Five-0 (2010): canceled or renewed?, MacGyver (2016), MacGyver (2016): canceled or renewed? I am a fan of both MacGyver and Hawaii 5-0. I will certainly look forward to watching both shows. I’d like to see a crossover but if the new boss on MacGyver is on the show won’t watch. She’s trying to hard to act tough.